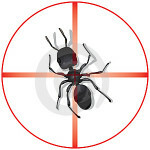 Put A Target on Pests! Call Today! Our specialty is dealing with Carpenter Ants, but we are also experts at getting rid of Bed bugs, Spiders, Mice, Wood Roaches and many other resident pests. All of these can prevent you from enjoying your time inside or outside, and can become a nuisance. They may also cause significant damage over time if left unchecked. And certainly, nobody wants Hornets or Wasps bothering children or guests on the deck or in the yard. Protect your Paradise with a Target Pest Control Services for the specific pest that is causing you concern. This is our flagship program! We’ve got you covered all year for one price. No surprises. Just one invoice per year, no matter how many times you have to call us! Features include a minimum of 2 services per year. A spring/summer treatment to control insects (some exclusions apply) and other seasonal invaders as well as a fall/winter service to help keep pests out as the weather gets colder. Emergency service is included at no charge. All you have to do is call and we’ll look after your home or cottage… All year round! Offering service from Muskoka to the GTA and beyond. We can provide the same great service for your primary residence as we do for your cottage. Let us take care of both and enjoy preferred savings. And don’t forget that we do one time visits! 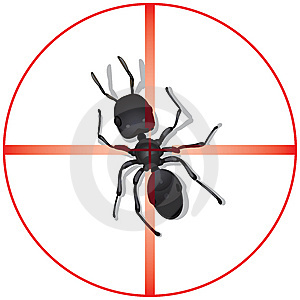 Ask about our target pest services. Let Muskoka Pest Control help keep your business pest free! Protect your business with a custom program. Pest problems can be a serious health hazard in a commercial environment. Many pests such as mice, cockroaches, ants and flies can disrupt your business and spread disease throughout areas where you, your employees and customers interact. To further compliment your business, we carry a full line of air fresheners, odour control, urinal screens, and fly control systems.